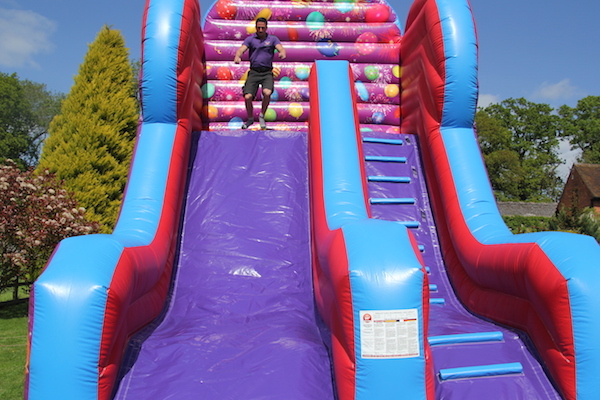 Our new magnificent Celebrations Fun Slide is suitable for both children and adults. 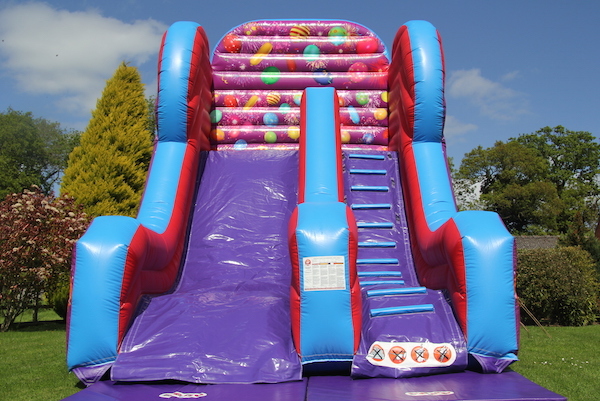 This steep slide is great fun and bound to be a main attraction at any party. Brightly coloured and decorated with balloons to give your event ‘the wow factor’!. 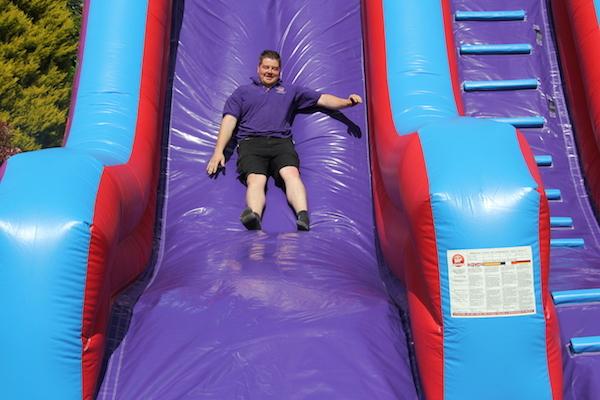 This slide is the highest slide we can leave at your event without a member of our staff having to stay and supervise it. 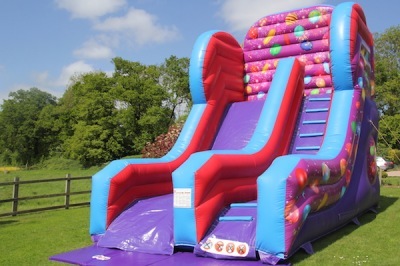 This slide is only available to hire outdoors on grassed areas. 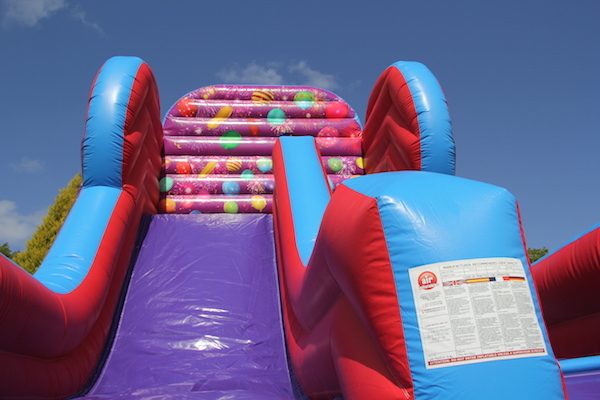 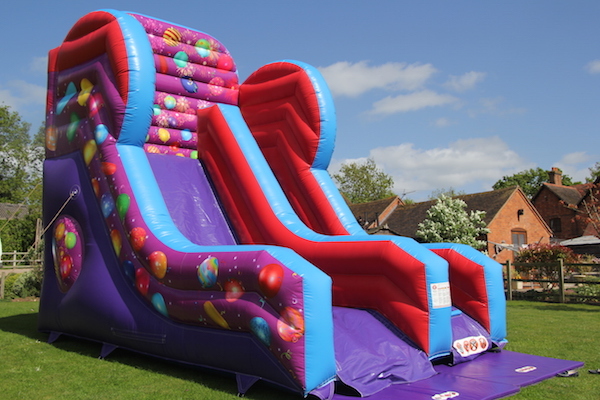 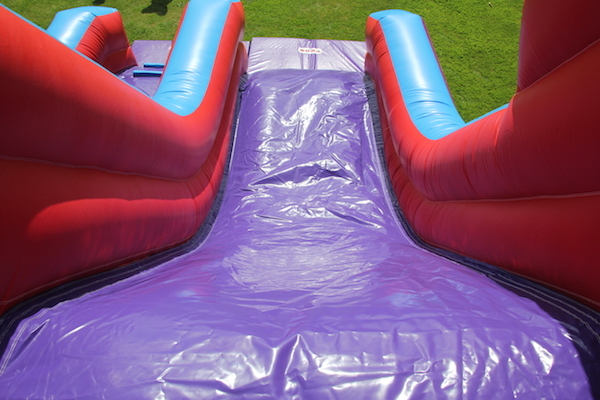 Celebrations Slide is available to hire for school fetes, birthday parties, and family fun days. 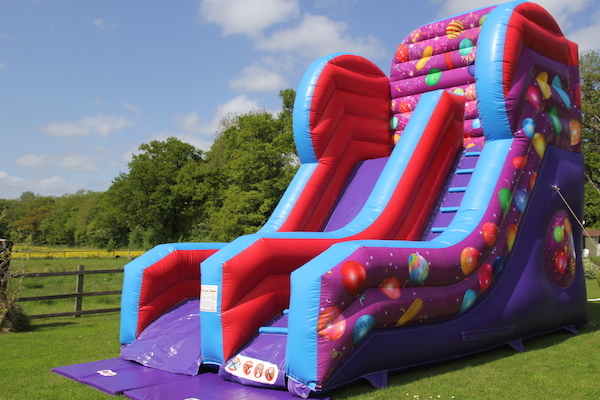 We can offer this very impressive inflatable throughout Evesham, Worcestershire, Herefordshire, Gloucestershire, Warwickshire and The Midlands. 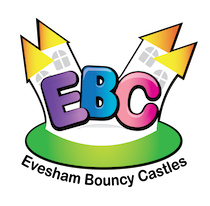 Towns in and around our local area include: Evesham, Pershore, Worcester, Malvern, Upton upon Severn, Gloucester, Cheltenham, Stratford, Broadway, Bidford, Alcester, Inkberrow, Hartlebury, Kidderminster, Stourport on Severn, Studley, Hanbury, Colwall, Tewkesbury, Bromsgrove, Droitwich, Stratford upon Avon and Bredon.